Take an artistic trip to the Sunken Place. It’s been nearly a year since Jordan Peele’s Get Out came to theaters to mess with everyone’s head, and the fan art inspired by the film continues to blow our minds with depictions of the “Sunken Place” featured in the film, along with all the psychological horror. On Wednesday, Universal Pictures released a video titled “Get Out (Get Art)” about Director Jordan Peele’s relationship with the art his film inspired and the people who made it. For the past year, artists from around the world have created their own interpretations of the images and ideas presented by Peele’s movie. Get Out met an overwhelmingly positive reception when it released in 2017. 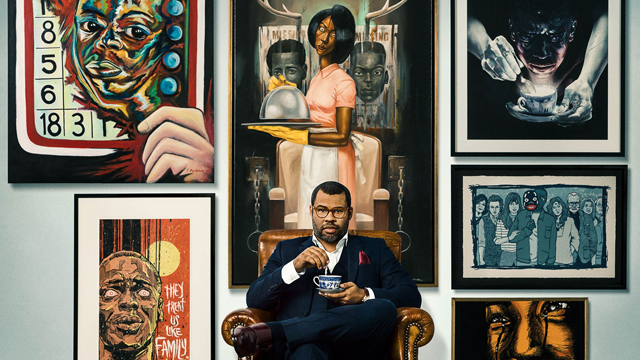 Soon after, Peele began seeing art created in response all over social media, which added a new layer to the conversation between the filmmaker and his fans. “In making Get Out, I’ve felt a kinship with artists who have reached out to add to the conversation,” Peele says in the video. Many of the artists appear in the video discussing their work and their reasons and specific source of inspiration reason for creating it. At the website NowYoureInTheSunkenPlace.com, Peele gathered art from around the world inspired by Get Out and offered up a message to fans. Pieces depict various characters and images from the film in a myriad of different artistic styles. Both website and video are part of a greater anniversary celebration for the film’s release, which happened February 24, 2017.